Stephanie Chan (my partner and best friend) and I did a values test the other day and we found out that our top values were Compassion (mine) and Unconvention (Steph). So we decided to combine our synergy our to create something compassionately unconventional — employ to empower. We believe in compassion with an unconventional twist. Stephanie and I left our corporate jobs to wholeheartedly invest our time in creating our very first social enterprise — Employ to Empower (ETE). 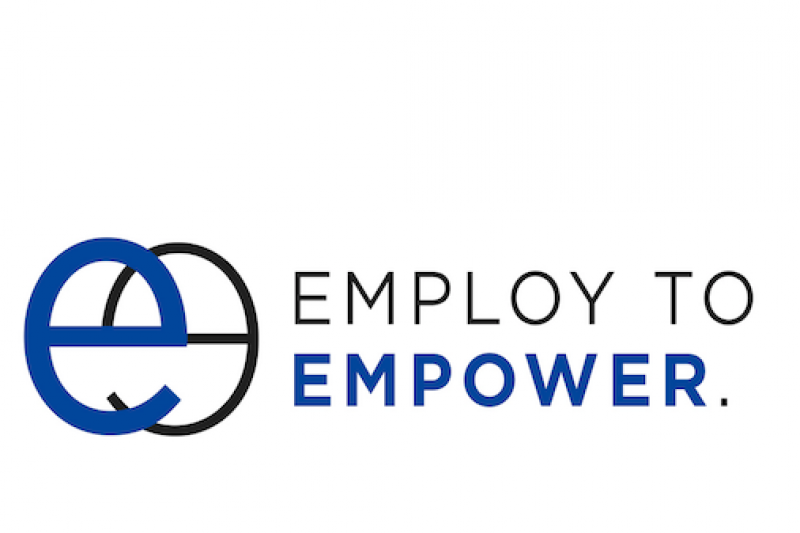 Employ to Empower aims to drastically reduce homelessness through providing dignifying long term employment opportunities. Through employ to empower, we intend to train and employ 10 people at the Street Store for 1 year as a pilot study. If this is successful, candidates will move towards long term work through large corporations. Within two weeks time, our concept attracted funding from the DTES Street Market , a recognized and impactful social enterprise that's funded by the City of Vancouver. The DTES Street Market supports hundreds of vendors to be more financially independent by allowing them to sell items to earn extra cash on top of their social assistance. Currently, we are actively working towards securing grants that will go towards the salaries of the 10 people we intend to employ at the Street Store. In the time being, we are training potential candidates by providing donation inventory for low income individuals to sell at the DTES Street Market. We believe that this will exercise their leadership, willpower and customer service all at once — which are all necessary skills to transition into long term work. Once we receive sufficient funding, the next step will be pivoting low income individuals to work at the Street Store and pay for their salaries, which will in turn transition them into long term work at large corporations. To be transparent, the money people make from selling your donations may be used for drugs/alcohol; however, at the end of the day, it’s important to be open minded as we don’t know their circumstances. Whatever people decide to do with their money is their choice as we can’t judge a person from the choices they make if we don’t know what options they had to choose from. On the other hand, I can say that there is a high chance that the money people make from selling your donations could be used for warm meals, rent, transit fares or even a razor for their first interview. 1) Donate any gently used items (no dirty underwear, socks please!) Remember that these items are going to be sold at their tent. I’d be happy to arrange a time to pick them up!